License Plate Recognition or LPR is a technology solution that takes photographs of license plates and converts these images to text. While the idea may seem simple, the behind the scenes complexity that goes on is quite amazing. Parking garages can automatically open just by recognizing the tenant’s plates. Imagine a sad scenario that happens all too often. A child is kidnapped and witnesses have a brief description and a partial license plate of the kidnapper. The kidnapper unknowingly is trying to get away, and as he drives onto the freeway a camera monitoring the road snaps a picture of his car and the plate. It then converts the picture of the License Plate into numbers and letters. Within a matter of milliseconds, this license plate is checked against a criminal database (such as AMBER ALERTS in the USA). In milliseconds, the police are electronically updated with the last known location. 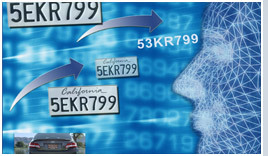 License plate Recognition (LPR) technology is a powerful that can rapidly help solve problems.